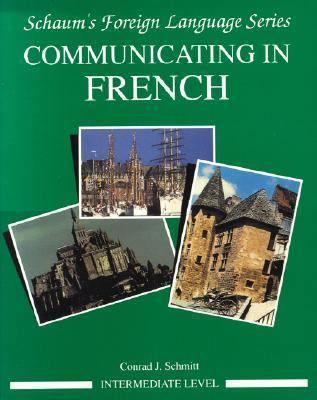 Each book in this series teaches the reader the practical everyday French that he or she needs to survive in real-life situations. Every topic in this book is dealt with on an intermediate level. The material is presented in such a way as to promote the development of communicative competency and allow students to survive in the language whenever the situation arrives. The exercises are geared to real-life situations, and the pedagogy is completely in accord with trends in foreign language instruction advocated by the prestigious ACTFL.Schmitt, Conrad J. is the author of 'Communicating in French Intermediate Level' with ISBN 9780070566460 and ISBN 0070566461. Loading marketplace prices 9 copies from $1.71 How does the rental process work?